You made it through another week, so we made you another to-do list! Get the most out of your weekend with the highlights of DTSP’s what-to-do. Thursday, take advantage of reduced admission to the Dali, the Museum of Fine Arts, and the Imagine Museum (with Cocktails and Collections at the MFA!). Friday, make yourself your newest clay piece with the Morean Arts Center or check out the opening night performance of Crumbs from the Table of Joy by FreeFall Theater. Saturday begins the St. Pete Tiny Home Festival, the opening of a new exhibit at the Museum of Fine Arts, and a Goats and Gulps Happy Hour to help support Friends of Strays. Sunday brings things to a close with the second day of the Tiny Home Fest and an afternoon of Sunday jazz at the Independent Bar. Go out and enjoy your weekend! Cocktails & Collections, held on the third Thursday of each month from 5PM to 7PM, is a series of themed events focusing on one of the MFA galleries or special exhibitions. Enjoy live music, a customized docent tour, light bites and art-inspired signature cocktails, all inspired by the different works & artists. Cash bar after first cocktail. Crumbs from the Table of Joy is a coming of age story of a young African American girl whose family is finding their way through the 1950’s world. Written by two-time Pulitzer Prize-winning playwright, Lynn Nottage, this play premieres at FreeFall Theater in St. Pete and runs through April 14th. Tickets are $29.50 – $52.50. 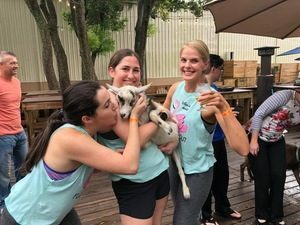 Here’s your chance to snuggle up to goats while enjoying some delicious craft beer at Cage Brewing! Tickets are $25 and include one beer and all the goat cuddles. All proceeds benefit Friends of Strays. The event is from 3 – 4PM. Come see the latest and greatest in tiny home living trends! Learn about simplifying your life and living greener and local. 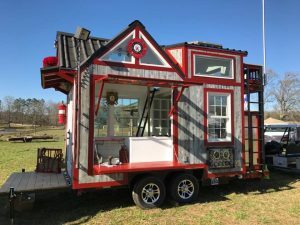 LocalShops1’s St Pete Tiny Home Festival & Live Local Expo will feature tiny homes, micro homes, food trucks, mobile boutiques, artists, vendors, workshops, entertainment, children’s activities and much more! The event takes place March 23-24, 2019, from 10 a.m – 6 p.m, on the campus of SPC’s Allstate Center in St Petersburg. Click here for tickets! 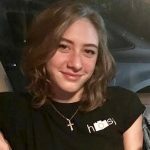 Ya like jazz? Of course you do! Head over to the Independent Bar St. Pete from 3-5PM for an afternoon of some of the best local jazz around. Enjoy James Suggs on trumpet, Sandi Grecco on drums, and Jeremy Douglass on keyboard, as well as newly served Estrella Galicia Lager and 1906 Reserva Especial Red Ale on tap! 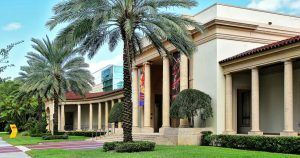 This special exhibition of the Museum of Fine Arts St. Pete features hand painted photographs of E. G. Barnhill (1894-1987) which offer a unique voyage into the natural splendors of Florida during the early part of the twentieth century. See it before it leaves on April 7th! The glittering jewelry designs of Jean Schlumberger were the epitome of mid-century elegance. Inspired by nature, his creations graced such notable style icons as Jacqueline Kennedy and Audrey Hepburn. This exhibition highlights the work of this innovative artist, placing his jewelry and objets d’art as inimitable examples of twentieth-century design. 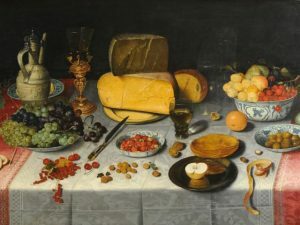 This exhibition brings together the extensive Schlumberger collection of Rachel Lambert “Bunny” Mellon, donated to the Virginia Museum of Fine Arts between 1985 and 2015. It is the largest, most comprehensive public collection of Jean Schlumberger’s work in the world. See it before it leaves on March 31st!